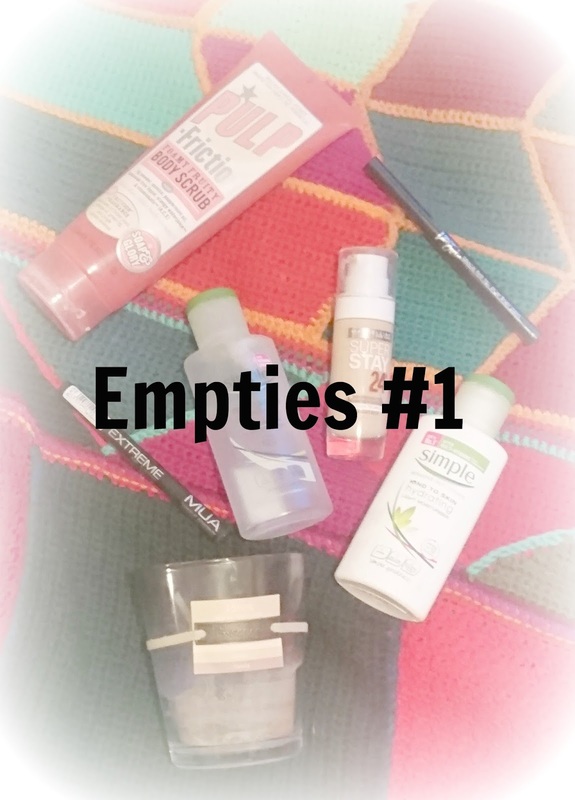 The first thing on my empties list is the Simple Eye Makeup Remover. This is one of the products I've had for such a long time and just needed to use it up. This used to be the only product I used to remove my eye makeup, but since I've bought the Garnier Miscellar Water I've barely been reaching for it and it just ended up taking up space. I finally got through it and can now bin it. Although it is a great product and does get rid of makeup easily, I much prefer my Miscellar water as it gets rid of all of my makeup and not just my eye makeup. 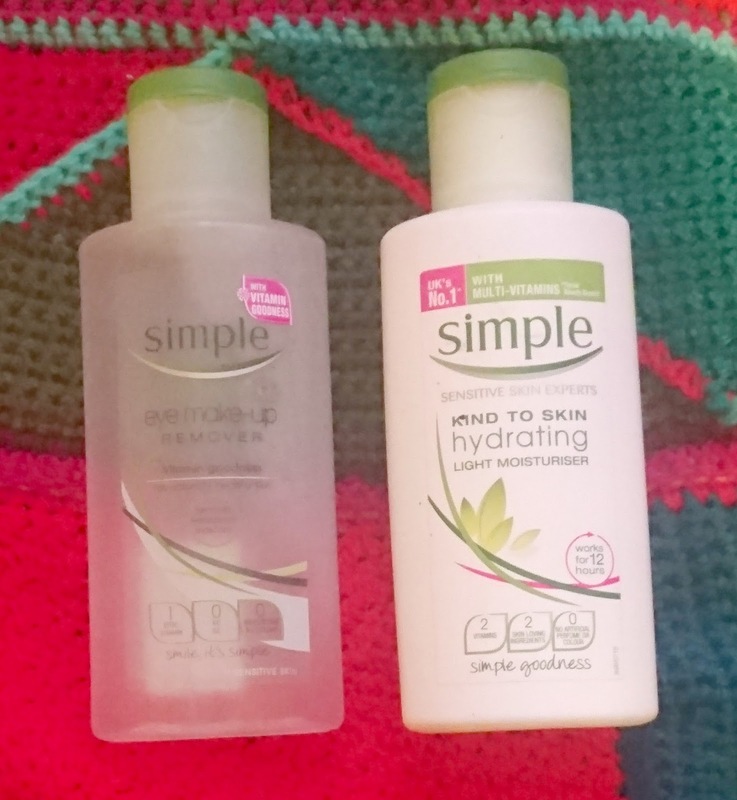 The next product is Simple's Hydrating Light Moisturiser. I've been using this product for a few years now (not the same bottle of course) and it's great for an everyday moisturiser. During the winter months I need somethings a little thicker, but this is great for using under my foundation. I finally finished up my Soap and Glory's Pulp Friction body scrub. This was bought for my mom but she didn't like it so gave it to me. I really enjoyed using this, the scent was great and it exfoliated my skin well, without being too harsh. It lasted a really long time and one thing I'm fussy about is products foaming up. I really liked that this lathers up, even though it's a scrub and I felt like it really cleansed my skin. I really need to start getting through my candles, because my collection is getting ridiculous! 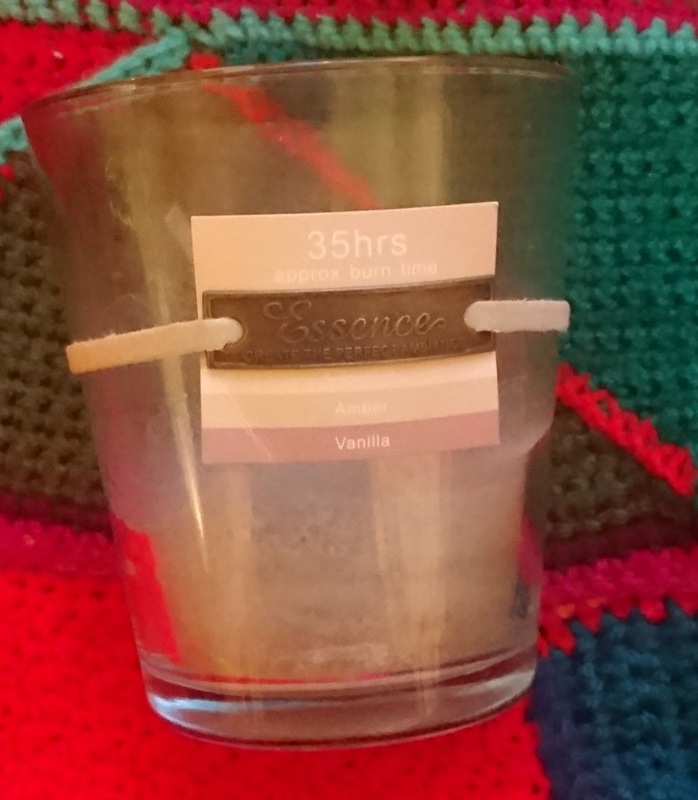 I finished this 3 scent one recently and I think I'm getting my dad into candles too! This was from B&M Bargains and was only £1.99 but lasted AGES! I mean, I've had this for months now and burn for at least 2 hours a night. The scents in this were, coconut, amber, and vanilla. It was really nice and comforting and the scent definitely lingered. Would I repurchase? : After my abundance of candles has gone down, I think I would. 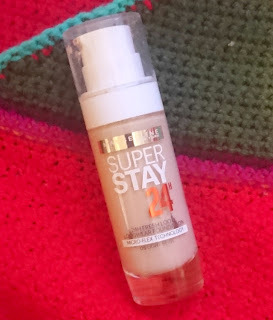 I tend to only use one foundation at a time and one that I've been loving for a long time is my Maybelline Super Stay foundation. This is the second bottle I've gotten through and I still love it. I've decided to try some other foundations before I repurchase this, but I'm already missing it so might buy it again soon! The last 2 products I have finished up are eyeliners. I'm always on the hunt for the best felt tip liner, but sadly neither of these 2 made their mark. The first one I finished was Royal's Lashed Out, which dried up ridiculously quickly. 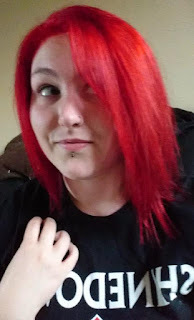 It was pretty watery and wasn't very black it was hard to work with and I think it actually dried up because I wasn't using it. 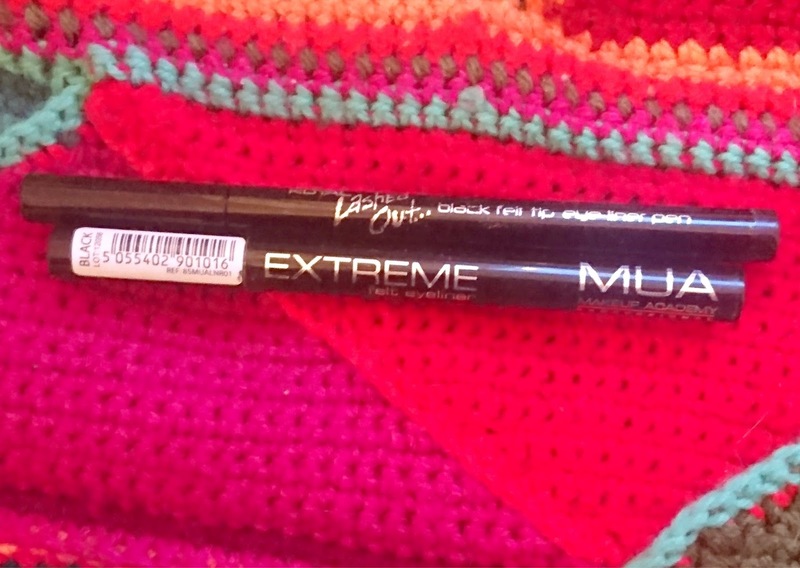 The other eyeliner was MUA's Extreme Felt liner. I have bought this twice now but I only buy it for Halloween if I'm doing any design. 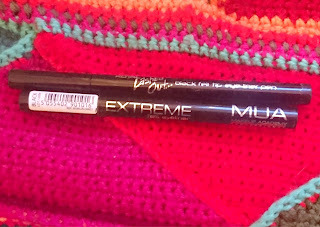 This one isn't too bad for that kind of thing if you don't want to spend much money, ut for an everyday liner, I would spend a little more money and have it last longer. Would I repurchase? : The Royal liner, definitely NOT, but I may repurchase the MUA one for future Halloween looks. So those were my empties! I love reading these types of posts so I hope you enjoyed this! Have you tried any of these products? Let me know!